Presenting our most recent Joomla educational template. 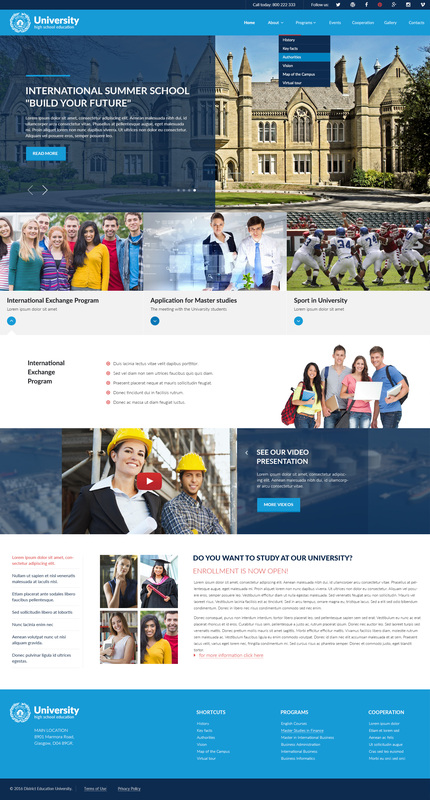 This university template is for each business that arrangements with college, school or online learners. Our instruction responsive format begins with a slideshow that delineates distinctive highlights of your website. This is, for the most part, used to clarify different offers and administrations that your site offers. At that point comes the card design show that order understudies in various classifications relying upon their inclinations. These two choices offer an immaculate association with your client that will help them pick their inclinations. After the slideshow and the card format, we are furnishing you with a section to welcome understudies to your association and in addition, numerous hyperlinked tab that comprises of the most widely recognized inquiry that understudy applying to colleges inquire. This is trailed by an index outline where you can pick two diverse themes joined each by two distinctive section to urge understudies applying to your school. To wrap things up, our organization's groups fuse 1 month of free host account at www.m9host.com site. Adding that expense to the free pictures that are fused into our designs, we are happy to be your minimum costly pathway all through a phenomenally successful business. Original installation package (with all original files). All content images.